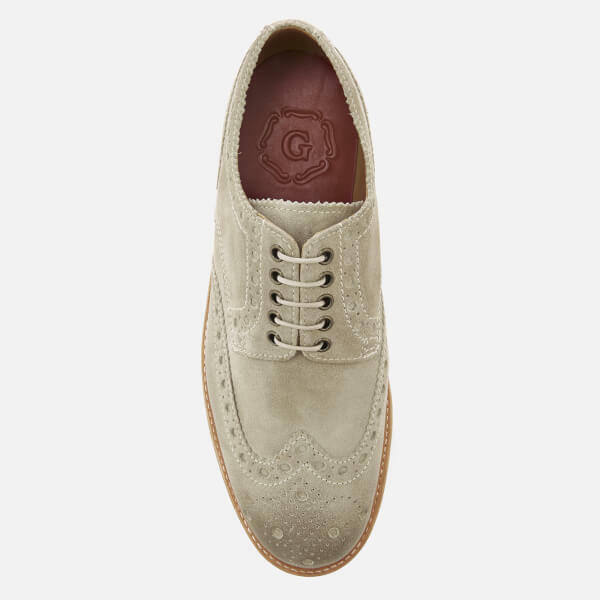 Men’s ‘Archie V’ brogues with camel coloured, burnished suede uppers and a lightweight white wedge sole from heritage British shoemakers, Grenson. 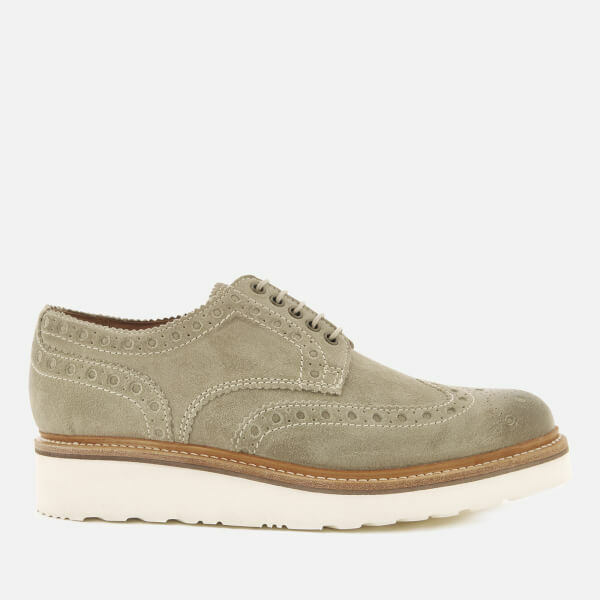 Fastened with tonal laces, the slim, round toe upper features an oversized brogue pattern, serrated edges and wingtip detail around the toe. 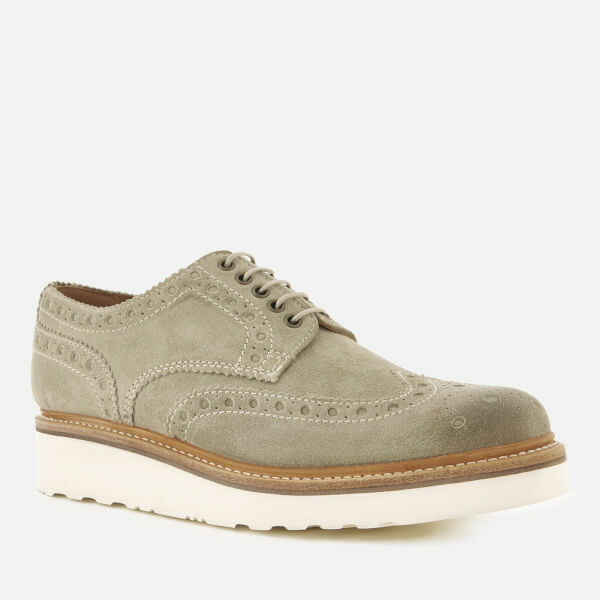 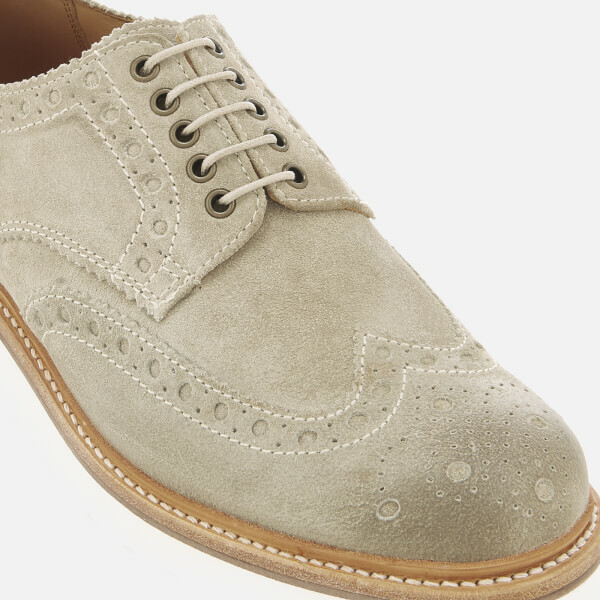 Constructed using a traditional Goodyear welt, the brogues are set on an XL ExtraLight® white outdoor flex sole. 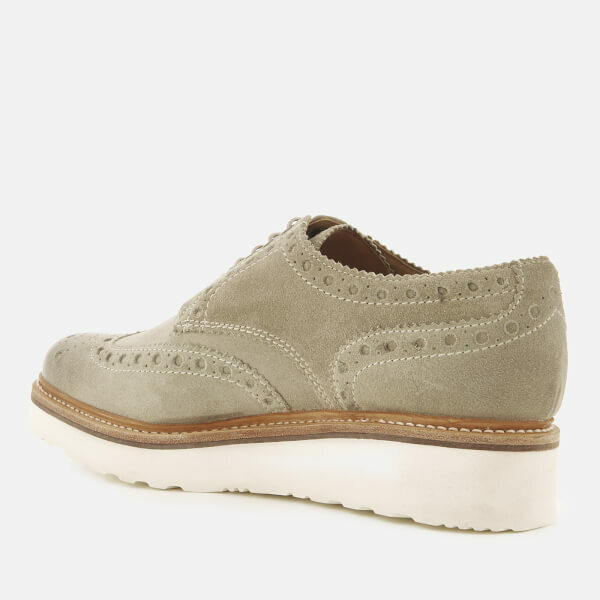 Complete with contrast white topstitching and a comfortable red leather insole.